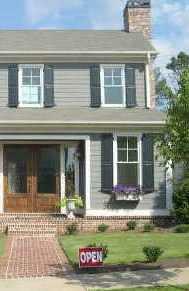 Amersee Lakes is a neighborhood of homes located in the City of Johns Creek, North Fulton County GA. Here you can find 19 acres of lakes and walking trails set along the Chattahoochee River. The Community is located Near the Atlanta Athletic Club, and St Ives. There are 147 +/- Homes in Ammersee Lakes. Homes built in Ammersee Lakes between 1993 to 2000 in the European Stucco to Traditional Style.